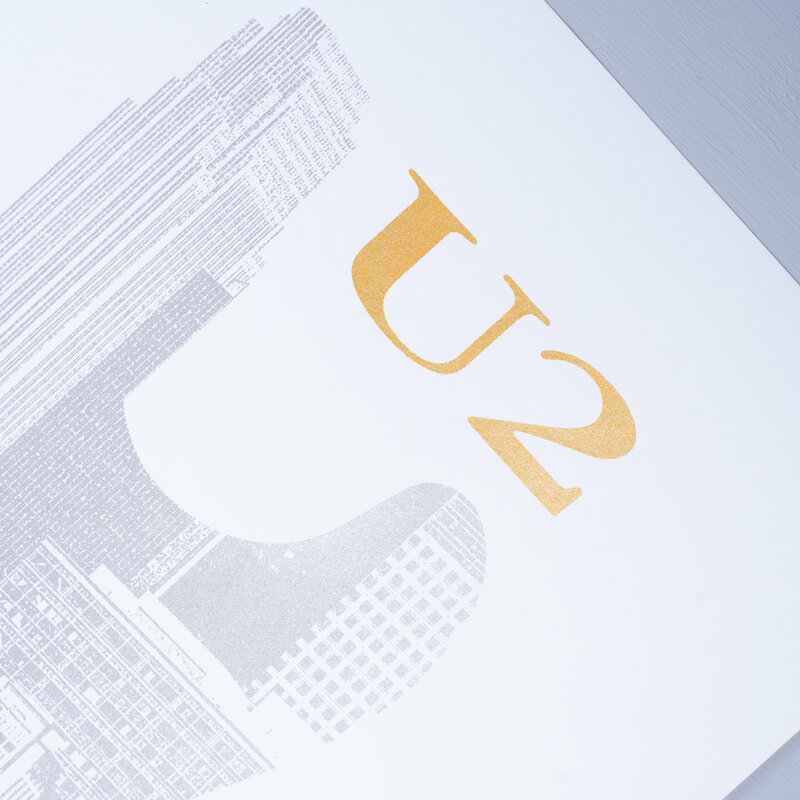 I’m thrilled to get the opportunity to create this screen printed poster for the one and only U2. 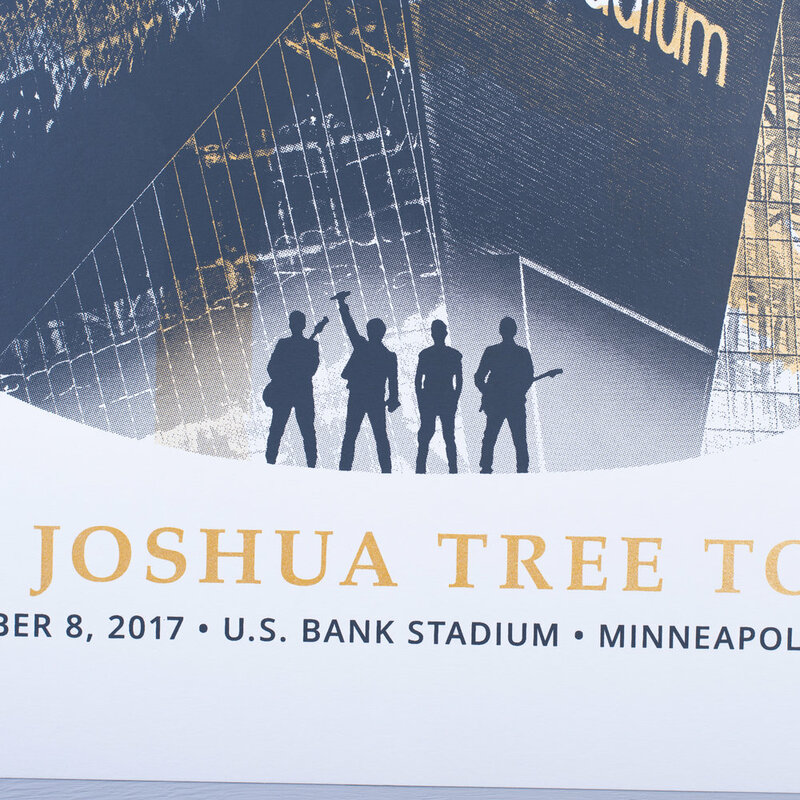 It is a gift to the band from U.S. Bank Stadium and commemorates their The Joshua Tree Tour stop in Minneapolis on September 8, 2017. This bad boy utilizes BOTH metallic gold and silver inks (a first for this guy) with that super funky Joshua Tree wedged between the skyline and stadium. PLEASE NOTE: This poster was an exclusive gift to the band and is not available for purchase.